James-abra, Erin. 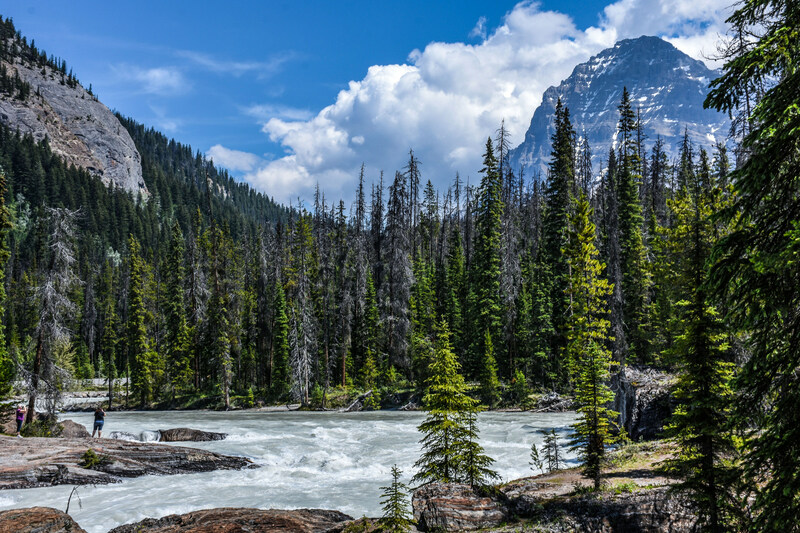 "Yoho National Park". The Canadian Encyclopedia, 21 November 2018, Historica Canada. https://www.thecanadianencyclopedia.ca/en/article/yoho-national-park. Accessed 22 April 2019. Yoho National Park is a protected area located in the Rocky Mountains, in the southeast corner of British Columbia. The park was established in 1886, initially as the Mount Stephen reserve, making it (along with Glacier National Park, established the same day) the second oldest national park in Canada, following Banff. 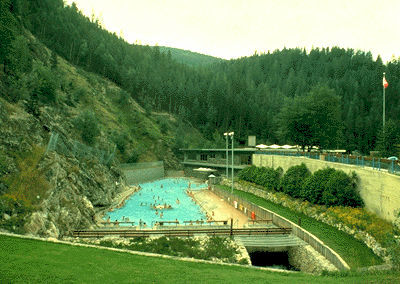 Spanning 1,313 km,2 the park features 28 mountain peaks above 3,000 metres. Yoho National Park is one of seven parks in the Rocky Mountains that make up the Canadian Rocky Mountains UNESCO World Heritage site (the others are Jasper, Banff and Kootenay national parks, and Mount Robson, Mount Assiniboine and Hamber provincial parks). Among the reasons for the UNESCO designation are the Burgess Shale sites, several of which are located in Yoho National Park, featuring fossils from 540 million years ago. 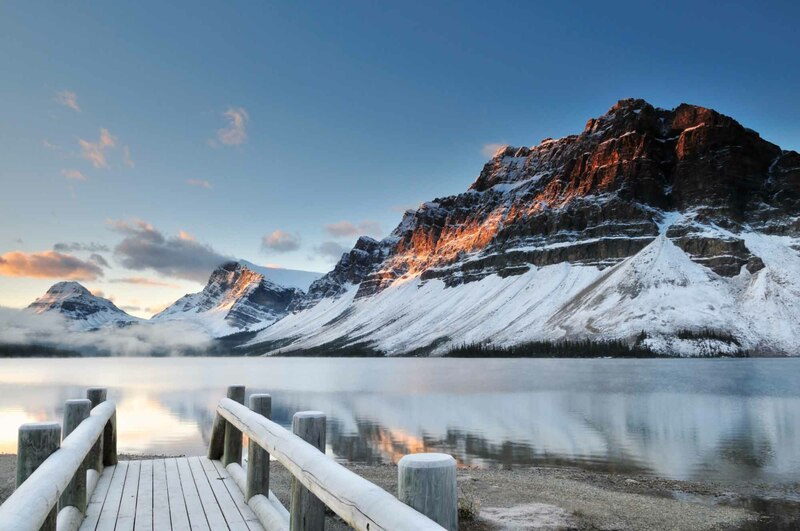 The name Yoho comes from a Cree expression of awe and wonder. Yoho National Park is located in the Rocky Mountains, in the southeast corner of British Columbia. Yoho National Park is in the Rocky Mountains in southeastern British Columbia. It shares its eastern border with Banff National Park, part of its southern border with Kootenay National Park, and part of its western boundary with Hamber Provincial Park. The town of Field is located within the park’s boundaries; outside the park Golden, BC and Banff, Alberta are the closest towns. During the Precambrian age, 1 billion years ago, the mountains that make up Yoho National Park did not exist. The entire Rocky Mountain System, stretching from the Gulf of Mexico to the Arctic Ocean, was flat. 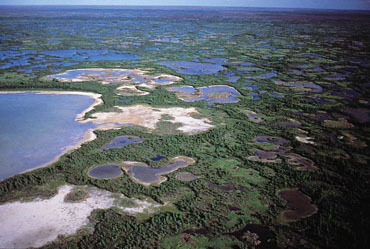 Gradually, this area began to sink below sea level and fill with sea water. Over millions of years, sediments such as mud, silt and sand were deposited into this inland sea from nearby rivers. As more and more sediment was added, the bottom of the sea continued to sink, creating layers of sediment thousands of metres deep. Burgess Shale is an area of layered rock featuring fossils from the Cambrian period (540 – 485 million years ago). In Canada, sites featuring Burgess Shale fossils are found in Yoho and Kootenay national parks. The fossils in Burgess Shale capture the end of the Cambrian Explosion, when, over millions of years, most major animal groups appeared in the fossil record. While there are sites around the world that feature fossils from the Cambrian period, these sites mainly include hard-bodied organisms such as shellfish. By comparison, Burgess Shale is primarily made-up of rarely preserved soft-bodied organisms, providing scientists with the world’s clearest record of Cambrian marine life. These organisms lived in the sea that once covered the location of the Rocky Mountains. Sediment flowing into the sea buried both dead and living animals. As more and more sediment accumulated, the organisms were compressed and fossilized. As this process was repeated the layers of fossils now found in the Burgess Shale were created. Yoho National Park is home to many alpine and subalpine plants. Several species of coniferous trees are common: whitebark and lodgepole pine, white and Engelmann spruce, and Douglas and subalpine fir. Shrubs include white rhododendron, dwarf birch	and alpine bearberry. Wildflowers, such as anemones, lilies and violets, bloom in the park’s lower regions. The park is also home to white-tailed and mule deer, moose, and wapiti. Mountain goats roam the higher altitudes, and carnivorous animals include grizzly bears, wolverines	and coyotes. Birdlife is varied, and includes the golden eagle, white-tailed ptarmigan	and the gray jay. High altitude streams often contain too much silt to be habitable for fish; however streams and rivers in the lower valley include trout as well as whitefish	and some northern pikeminnow. Some lakes are home to a variety of trout, including bull, lake, speckled, and cutthroat. Yoho National Park was used primarily by the Ktunaxa (Kootenay) as a seasonal route to the plains on the eastern side of the Rocky Mountains. While other routes existed to the south of the park, these southern passages put the Ktunaxa in contact with the Siksikaitsitapi (Blackfoot Confederacy), with whom they were not friendly. Instead, the Ktunaxa likely used Kicking Horse Pass to access the plains, where they hunted bison on the territory of their allies, the Cree	and the Stoney-Nakoda, and traded ochre with them. While historians assert that Indigenous people were forcibly removed or barred from most national parks in Canada, there is little detail about what such an exclusion from Yoho National Park may have looked like. By comparison, much has been written about the removal of Indigenous people from neighbouring Banff National Park. In Banff, tensions centred primarily on the Stoney-Nakoda’s use of the park as a hunting ground. While Banff is made up of both valleys and mountains, Yoho is predominantly high peaks, making it less desirable for hunting. For this reason, most conflict over hunting rights likely played out in Banff as opposed to Yoho National Park. In addition, by 1888 — two years after the creation of Yoho — plains bison had all but disappeared from Canada, meaning that the Ktunaxa’s seasonal trips through the park were likely less frequent. In 1858, James Hector, a Scottish geologist travelling with the Palliser Expedition, became the first European to encounter Kicking Horse Pass. It’s said Hector’s horse kicked him in the chest at this juncture, hence the name of the pass. Later, the Canadian Pacific Railway	used the corridor to connect British Columbia to the rest of the country. A hotel and restaurant were built at the base of Mount Stephen so that the CPR’s heavy dining cars didn’t have to travel up the mountain. The restaurants were the beginning of the Mount Stephen reserve, which was renamed Yoho Park Reserve in 1901. 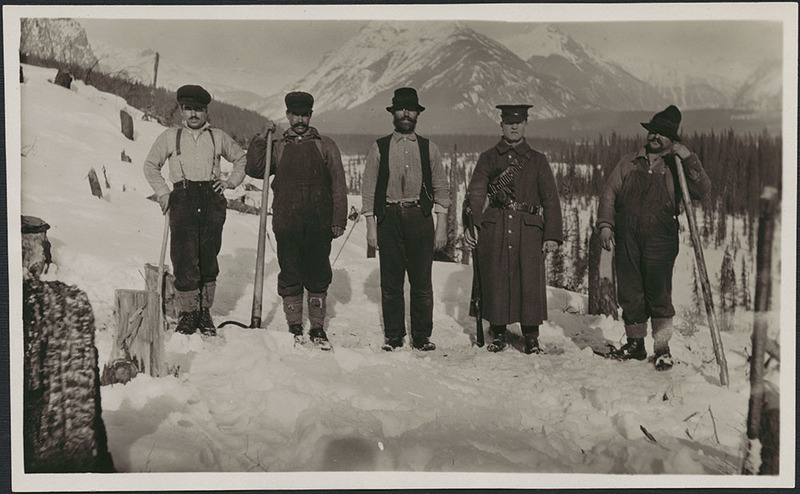 Otter internment camp, Yoho National Park, British Columbia, 1916. During the First World War, the federal government interned 8,579 Canadians and recent immigrants as prisoners of war	in camps across the country. Known as “enemy aliens,” they originated from the countries Canada was at war with, namely Germany, Austria-Hungary, Turkey and Bulgaria. Four of these camps were set up in national parks: Banff, Jasper, Mount Revelstoke	and Yoho. The camp at Yoho National Park was known as Camp Otter. It was located about 13 km southwest of Field, BC and operated from 6 September 1915 to 23 October 1916. The prisoners of war were used as cheap labour during a time when the parks system was receiving little government funding. At Camp Otter the men built a new highway and a bridge to the Kicking Horse River. At one point, some prisoners tried to escape via a tunnel from the cafeteria to the bush, built using a shovel and cutlery. Their plan was discovered before any getaway was attempted. Visitors to Yoho National Park can camp, hike, mountain climb, ski, mountain bike and snowshoe. They also may visit the park’s three national historic sites, Abbot Pass Refuge Cabin, Kicking Horse Pass	and Twin Falls Tea House, or they can take a guided tour of the Burgess Shale.